Around this time of year Theresa May likes to go on walking holidays in Wales. It allows her the freedom to think, apparently. But last year imbibing the Snowdonia air led the Prime Minister to make probably the worst decision of her political life. Returning to Downing Street she announced a snap general election which unexpectedly left her short of an overall majority and dependant on the ‘confidence and supply’ of another party. A year on, and with a year to go before Britain leaves the EU, her world has not quite fallen apart. In fact, one could argue that the fortunes of the PM and her chances of longer-term political survival have improved as time has worn on. Red lines have been drawn, albeit largely dictated to her by combative Brexiteers, and she is demonstrating a calm determination (dare one even say ‘strength and stability’) in her keynote speeches such as at Mansion House in the City last month, which generally went down well. On this year’s walking trip she surely won’t be making any more rash decisions. But she will be contemplating another turbulent 12 months until Brexit finally means Brexit, and it will probably be the most important year for her and the British economy. This time next year we should finally know what our unique future relationship with the EU will look like, and how it will work, as we head into a 21-month transition period following our exit. 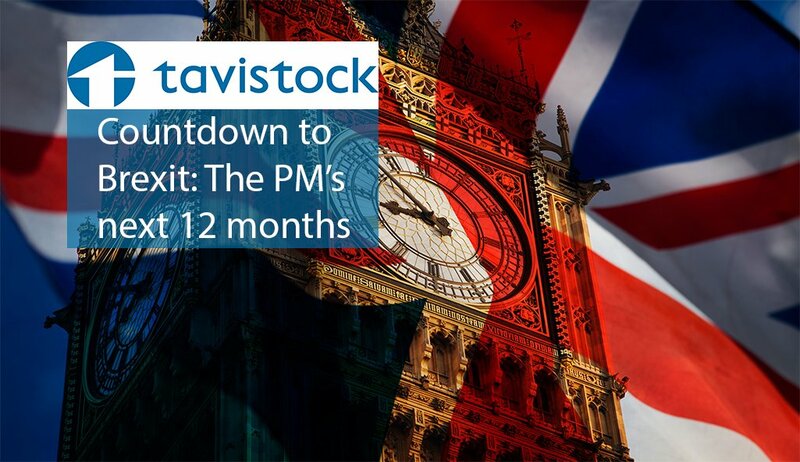 A consensus is emerging on the shape of that relationship, albeit one still lacking much of the detail – a point highlighted this week by the House of Commons Committee on Exiting the European Union. As the MPs point out, there now is a growing consensus that leaving the EU without a deal and falling back on WTO rules would be highly damaging to the UK economy. It is now likely we will have what is being called a ‘Canada plus plus plus’ deal with the EU, adding additional UK services to its long-fought CETA arrangement, with ‘regulatory divergence’. Not for us is the Norway type arrangement where they are part of the Single Market (but not the Customs Union) and are still governed by EU rules despite having no say over the shaping of that legislation. All this is easily said, but, as the cross-party Committee pointed out, it requires “an unprecedented development of mutual recognition agreements far more ambitious than any previously agreed by the EU with a third country”. “There is no precedent for any EU Member State leaving the EU or the type of new deep and special partnership that the UK is seeking,” the report added. The basic point of the MPs was that while a deal is likely to be reached in a year’s time, there is a danger that negotiations will be dictated by the EU’s interpretation of Mrs May’s ‘red lines’, rather than a positive vision of what our future relationship with the EU should look like. The UK has a lot to offer the EU as a third country, the Committee acknowledged, and it set 15 tests by which it will judge the whole deal when it finally emerges. At least two of those tests referred to the UK’s financial services, with MPs stressing that UK providers “should be able to retain automatically, or with minimal additional administration, their rights of establishment in the EU, and vice versa, where possible on the basis of mutual recognition of regulatory standard”. Undoubtedly a key aspect of this for the City will be financial services, and maintaining our status as a premiere international financial centre. Anecdotal evidence suggests that some big banks and financial institutions are making plans to relocate staff out of London, despite official reassurances they remain committed. Even Brexiteer Ministers who had early careers in the City, seem to forget the devil really will be in the detail for London as a financial centre. Mrs May might be encouraged to take more contemplative walks around our financial capital and breathe in some of the City’s pungent fumes – not least to be reminded of the potential damage to the UK economy’s major organs. But if she pulls off the Brexit deal and the transition period goes smoothly she may look even more prime ministerial going into the next general election, especially compared to her more combative Cabinet colleagues.